Polina Artemenko is an MBA Strategy application consultant. MBA Strategy possesses in-depth expertise in helping applicants to get into top business schools around in the USA, Europe, and Asia, and it is proven by over 2,000 successful stories. There are two months left before R2 application deadlines. 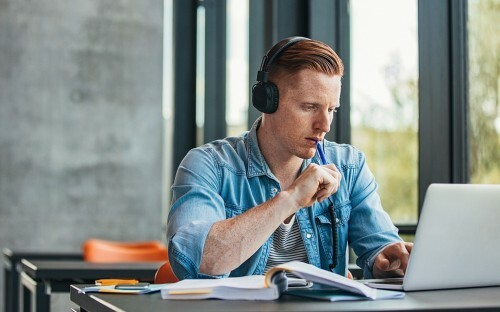 If you have finally beaten the GMAT, the time to answer your MBA essay questions. Imagine a cozy evening in. You make a cup of tea and open your laptop. You’re ready to craft your Harvard essay and…nothing happens. How should you start? Should you mention how you came second in that swimming competition at university? Should you say more about that exhausting project? What do people even write in these essays? Your tea’s gone cold, and your laptop screen is blank. It’s best to divide your prep into several stages. If you’ve not finalized your school choices, do more research: reach out MBA alumni, participate in admissions events, and scrutinize schools’ websites. Apart from pretty standard brochures, stating that an MBA from School X is the most incredible MBA in the world, you may find admissions and students’ blogs there, and this is where the real treasures are buried. After selecting your choice b-schools, you need to make sure you can meet all their requirements: essay topics and word limits, application form questions (which may include ‘hidden’ essays), and even reference templates. Then, you will have not only a complete to-do list, but a tool to optimize the writing process, saving plenty of time and resources. Despite the different wording, it is clear that schools need to know your career goals and the role of their MBA programs in helping you achieve them. That does not mean that all goals-related essays should be the same: each business school has its features, which you should outline, proving your intention to apply. However, your career plan is most probably a kind of constant: one does not want an MBA itself. One aims to fill in the gaps in their knowledge and skills to mount new professional heights. Therefore, sentences describing your career aspirations can be virtually copy-pasted. Indeed, you may pick one case from your experience, when you made a significant and lasting impact, proved yourself as a leader, and learned a valuable life lesson. It is better to rely on the largest word limit and then cut the unnecessary parts. Berkeley sets a 250-word limit but does not ask you what you have learned, therefore you may eliminate this paragraph from the initial story. As a result, you will not need to make up three different essays, but use only one and then slightly adapt it, given the word limits and essay questions wording. To summarize, instead of writing application essays one by one, from school to school, you need to see the whole picture first and analyze, whether there is a chance to optimize the process. Identify similar topics, choose the most impressive examples from your experience and present them, adjusting accents and eradicating wordiness if necessary. In such a way, it will be much easier to overcome the fear of the blank page and create an outstanding application package. Essay writing is based on some of the basic tips. like Essay title, a body of essay sticking around the main topic. idea what u want to deliver and a perfect ending. Application essay is an important tool to help you get into your favourite college. In order to help you in writing a quality essay, here is <a href="https://lifesaveressays.com/"> affordable custom essays- Lifesaver Essays </a>. They provide you with great quality essays at a very affordable prices. Visit the link to know more.